Right from childhood, there are many milestones in the development of the visual acuity of your child. For instance, in the first few months, a baby is able to focus on objects close by. Even the colours that he or she can see will appear in high contrast. However, by the time the baby reaches six months, his or her vision has developed considerably as they notice the difference in colours more distinctly. During this development, it is important for the parents to focus on the child’s eyesight and keep a look out for possible vision problems that often show up at the most unexpected times. This is important because, as of now, around 25 percent of school going children have some sort of vision problem. Most children who need eyewear tend to suffer from near-sightedness or farsightedness. Depending on the degree of visual correction required, the ophthalmologist will prescribe the type of eyeglass required. But this prescription is just the first step where the challenge for a parent begins. This is the category of superbly stylish frames. Everything from bright colours to trendy shapes will find their place in this segment. These kids are very conscious of what they wear. Investing in a stylish eyewear will only ensure that they will embrace the idea of wearing it regularly more easily. Anyways, kids with a love for fashion can be fussy when choosing a frame and these trendy options are just perfect for them. Ogi Eyewear has some really interesting options in this category. The OK311 is a youthful frame that embodies the sophistication of its parent style, the 9202. Featuring a swooping brow with a soft angled oval shape, this frame gives the simple structure an appealing look. Tinted tortoise hues pair with matching coloured metal temples to create the ultimate in comfort and style. Another expressive addition to the Ogi Kids Collection is the OK312. Modelled after the adult-sized Ogi Eyewear 9077, this versatile feminine shape is the perfect size for a young girl with a dazzling personality. The luminous jewel toned acetate features a multifaceted striped pattern making each frame one of a kind. Both OK311 and OK312 use the finest quality OBE screws and hinges from Germany as well as flexible spring hinges for maximum comfort and durability. Crafted in rich jewel-toned acetate, the eye-wear is sure to win praise for its multifaceted striped pattern, tinted tortoise hues matched with coloured metal temples. School is where kids spend a large amount of time and so it is quite likely that their choice of eyewear would be influenced by this experience. There are plenty of interesting options in what we would classify as the nerdy scholar styles. They are colourful, look smart and may even end up inspiring kids to study harder. The new Superflex Kids Back-to-school collection is one option that comes to mind in this category. This collection is all about colour. Designs resemble an authentic explosion of energy and cheerfulness. The Back to School comes with a new look and new features, where the main theme is about colour. Emulating fashion choices with vibrant, trendy colours, Superflex make this collection a unique kids collection. Who said kids do not like black? This category is about the straightforward styles in black colour. Interesting shapes are the highlight but the colours are in the darker palate. Blacks and browns will find a place in this category. For instance, the Shaquille O’Neal Squad Eyewear collection from Zyloware is a good option in this category. This collection is all about comfort and style being the “new cool.” Game changing to this collection are performance-based materials and trendy design.An interesting USP of this collection is the durability, a feature that parents insist on when buying eyewear for their kids. With kids, cuteness is always a constant. The little cherubs can woo your hearts with that innocent twinkle in their eyes! And the frames in the Oh-so-cute category are an attempt to interpret this very spirit. Simply put these frames are guaranteed to make you go awwww! The Ted Baker collection for little girls is a good example in this category. Whether they’re picnicking in the park or discovering their dancing feet at a party, Ted’s 2018 optical collection has something for every little lady! The entire range is fun and vibrant throughout. Each pair features the panache and finishing touches of the mainline collection – resized – and colours turned up to a dazzling level. Te LOLA TBB963, and the rose gold temples of DION TBB962 are two showstoppers in this category sure to catch the attention of the little ladies. Not just eyewear, the variety in sunglasses for kids is also very tempting. 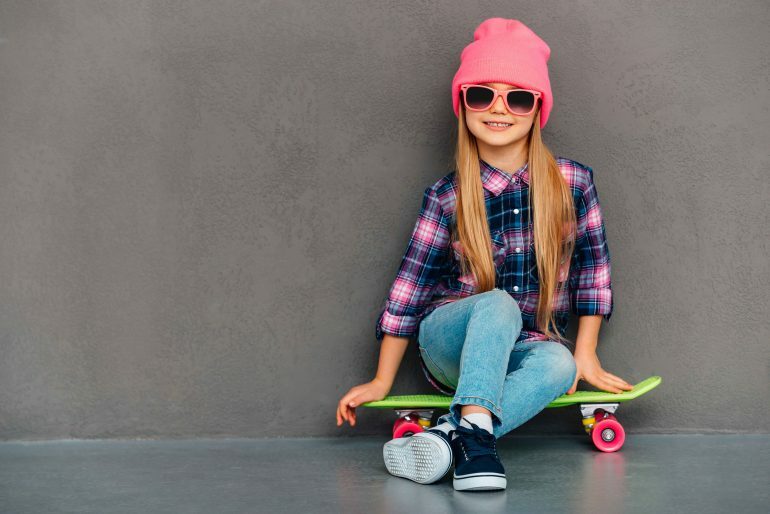 From vibrant colours to chic styles, various brands are offering some interesting styles when it comes to kids sunglasses. An interesting option that comes to our mind is the collection by Tommy Hilifiger. 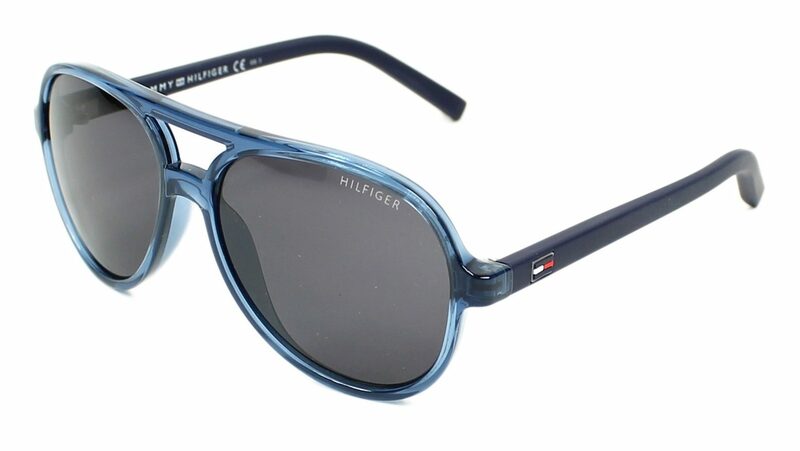 The Tommy Hilfiger Group, introduced its new sunglasses and optical frame models for kids. The new junior models, designed for children 8 to 12 years old, draw inspiration from Tommy Hilfiger’s classic, American, cool lifestyle with a youthful, creative twist. The TH 1221/S model comes with a vibrant colour palette ranging from tones of blue to gray and pink to olive green lends a lively touch to this double-bridge, unisex aviator model. A sporty attitude – TH 1222/S, this rectangular-shaped wraparound model is inspired by the quintessential sporty prep. Ideal for outdoor fun, this model comes in shades of denim blue, red, green and black with the Tommy Hilfiger flag detailed on the temples. TH 1224, this elongated oval-shaped optical frame features color-blocked combinations in hues of grey/black, blue, red/white, and Havana/brown. Soft-touch detailing on the temples depict Tommy Hilfiger’s signature flag logo. What’s in store for opticians? Kids eyewear is a largely unexplored market. Given the extensive options in this category, this is a segment with a lot of untapped potential. Opticians can use their expertise and knowledge of styles to help parents identify the right eyewear for their children. After all, ensuring that a child has the right eyewear is an important step to ensure that our future has access to right vision care!